Chairperson of the MPA Board of Directors, is President and CEO of t.jelke solutions, a consulting firm offering assessment, curriculum development, research, strategic planning and leadership training services for universities, non-profits, and fraternal organizations. Dr. Jelke was born and raised in the city of Miami and he has taught at Florida State University, Indiana University, and Florida International University. Dr. Jelke has also served in various staff positions on Semester at Sea, including Executive Dean. 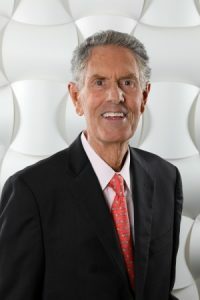 He is the Immediate Past Chairman of the Board of the Association of Fraternity Advisors Foundation, sits on the National Board of Directors for Sigma Phi Epsilon Fraternity, Board of Directors for the Association for Fraternal Leadership and Values, and is the current Chairman for the Thomas B. Jelke Foundation. He also serves on an advisory board for the Actor’s Playhouse at the Miracle Theatre. Elected in 2005. Jami Reyes is Development Manager/Community Outreach for Swire Properties, Inc., one of South Florida’s leading international developers of urban office, hotels, and condominiums, headquartered in Miami since 1979. Jami works closely with the development team to create community, government, and economic-related strategies for Swire’s current and future projects. Prior to joining Swire, Jami began her career in public affairs and communications at Gordon Sloan Diaz-Balart; the firm later changed its name to Gordon Reyes & Co., once Jami was named partner. After fifteen years at Gordon Reyes & Co., Jami launched Jami Reyes & Co., a government relations and communications firm specializing in real estate and development clients. Jami is a staunch believer in giving back to her community and has served on the boards of the Latin American Business Association, the Coral Gables Chamber of Commerce, the Latin Builders Association, the Builders Association of South Florida, and the City of Miami Bond Oversight. 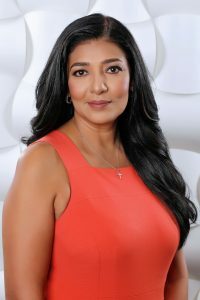 Throughout her career, Jami has provided pro-bono services to various local organizations, such as Kristi House, Voices for Children, the Lotus House, and the South Florida chapter of March of Dimes. Currently, Jami spends her volunteer hours on Habitat for Humanity of Greater Miami. Jami is Honduran-born, Washington DC-raised, and Miami-adopted. 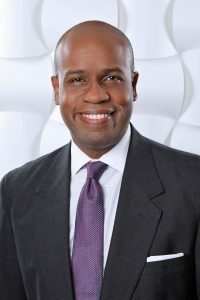 Marlon A. Hill is a partner of the law firm of Hamilton, Miller & Birthisel, LLP and serves as outside general corporate counsel to corporations, entrepreneurs, small businesses, and not-for-profit organizations, especially in the industries of media, tourism, arts and entertainment. Mr. Hill is a past president of the Caribbean Bar Association, an inaugural member of The Miami Foundation Miami Fellows Initiative, past Vice Chair of The Miami Foundation, and a board member of the Orange Bowl Committee and Miami Book Fair International. He is the host of a weekly radio commentary, “D’ Peoples Politics”, on WHIM 1080AM, every Saturday at 4pm and frequent Roundtable guest contributor on WPLG Local 10, “This Week in South Florida” and Oped contributor to The Miami Herald and Sun Sentinel South Florida 100. Elected in 2003. President and Chief Operating Officer at ONE Commercial Real Estate. Mr. Nostrand is responsible for the strategic direction and tactical execution of all platforms and business operations. He has been a South Florida resident and commercial real estate executive for 45 years, focusing on real estate company operations, investment sales, financing, leasing and project management for occupiers, owners and developers. Mr. Nostrand is a Professor in the Master’s Program for Real Estate Development and Urbanism at the University of Miami. He has served on the Advisory Board for the University of Denver Trustees in evaluating real estate strategies. Mr. Nostrand is the Finance Chair of the Miami Parking Authority. He was one of the founders of the Greater Miami Convention and Visitor’s Bureau. He also served for 12 years as a board member and chairman of the executive committee for Gulf Bank of Miami. Elected to the MPA Board in 2007. Mr. Larry Spring, Jr. is a Miami native and has been an active member of the Miami-Dade County community for over 40 years. Reared in the Coconut Grove and Richmond Heights neighborhoods, Spring has always embodied a strong sense of community. As the newly appointed City Manager for the City of North Miami, Spring brings a wealth of knowledge. 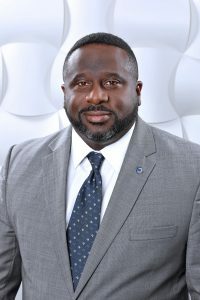 Prior to joining the City, Mr. Spring was Corporate Director of Budget and Productivity for Jackson Health Systems for three years and prior to that was an Assistant City Manager with the City of Miami for nine years, serving in the capacity of Chief Financial Officer and Director of Budget and Strategy. In that role he focused his attention on identifying opportunities to better leverage value out of City owned assets and ensuring that the City was positioned to remain fiscally sound. During his tenure he established the first multi-year strategic plan utilizing the Balanced Scorecard methodology, led the issuance of over $500 million in municipal bonds, negotiated the City’s obligations under the new Florida Marlins Stadium agreement, and managed the process to expand the Omni and Overtown Community Redevelopment Agencies boundaries, setting for the framework for funding several transformational projects like the Miami Port Tunnel and Museum Park in downtown Miami. Before transitioning to government, Mr. Spring had a successful career in the commercial banking industry, serving in many capacities including internal audit, financial reporting, budget and accounting, treasury and investment portfolio management, credit and deposit product pricing. Mr. Spring is actively involved in the community and has served on the board of the Miami Foundation, the Universal Truth Community Development Corporation, the City of Miami Bond Oversight Board, City of Miami Housing and Commercial Loan Committee. Mr. Spring received his Bachelor of Science in Management with a major in Accounting from the Tulane University, A.B. Freeman School of Business and is a licensed CPA.